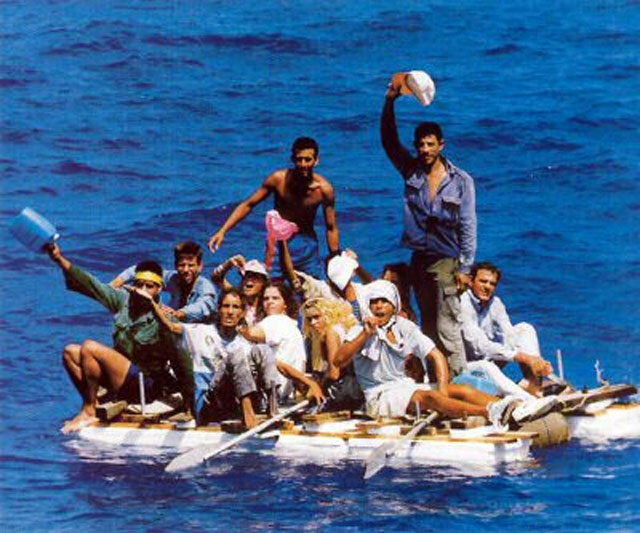 In numerous conversations with Cubans, émigrés as well as those “on the inside” (I share the experience of living every day under this Island’s sui generis [unique] conditions with the latter) surfaces a phrase, coined through several decades, whose credibility rests more on repetition by its own use and abuse in popular speech than on reality itself. “In Cuba, whatever is not forbidden is mandatory”. I must admit that the former is true enough. If anything abounds in Cuba it’s prohibitions in all its forms: those that truly are contained in laws, decrees, regulations and other provisions of different levels, all aimed at inhibiting individuals and controlling every social or personal activity, what the coercive nature of the system imposes on us, even if not legally sanctioned, (for example, male students can not wear long hair, music of any kind may not be broadcast through radio or TV, people may not gather in certain places, etc.) and those we invent, that is, the self-imposed prohibitions of people who since birth have been subjected to fear, indoctrination, permanent surveillance and to the questionable morality of everyday survival that forces one to live thanks to the illegalities, that is, violating injunctions established by the government beyond common sense. It is natural that transgressions abound most wherever greater number of taboos exist. Now, the “mandatory” is another matter. It is rather about a total legend that, be it through ignorance or for another number of reasons (irrational at that) it’s a legend that serves many Cubans to unconsciously justify their behavior and to embed themselves in the civic mess that is choking us. The list of “obligations” would be endless, but some of the handiest can be summarized as follows: belonging to organizations that are pure pipe dream, such as the Committees for the Defense of the Revolution, the Federation of Cuban Women, Territorial Militia Troops, Cuban Workers Central, Pioneers Organization, High School Student Federation, University Student Federation, etc., all of them with payment of dues and attending different rituals according to the agendas, also supposedly of a “mandatory” nature. But many Cubans seem to consider it mandatory to vote for the Delegate, attend meetings and accountability meetings, to shout slogans, sing the National Anthem, salute the flag, honor the martyrs of the revolutionary calendar, to sign political commitments, other documents and a very long list. Actually, there is the assumption that failure to comply with these “obligations” would result in some reprisals, such as the loss of one’s job, our children not being accepted in some study centers, not being eligible for certain child-care or semi-boarding services for children of working mothers, etc.. However, many of us have found from experience that none of the above mentioned is in truth mandatory, but it constitutes the general answer to the fundamental prohibition that weighs over this nation: it is forbidden to be free. Oh, Cubans! If ever the courage that drives so many to brave the dangers of the sea in an almost suicidal escape, to create a new life away from here, to survive in such precarious conditions inside, and to succeed against all obstacles outside of Cuba, could be turned into overcoming the fear of the regime, how different everything would be! If so much energy could be directed towards changing our own reality, we would make the world of prohibitions disappear in no time, that world that has kept us in chains for half a century, and we would stop feeling compelled to be slaves forever. It is not mandatory, but it is also not prohibited. 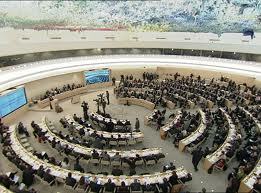 The recent election that resulted in Cuba joining the membership of the UN Human Rights Council (HRC) for a period of three years has aroused contradictory positions in various opinion sectors, both within and outside the Island. No wonder, since it means the recognition of a totalitarian government that has curtailed all individual and collective freedoms for Cubans for decades, and even today continues to deny rights as essential as those of association, freedom of press, speech and information, just to mention some of the most hard to conceal. Some optimists, with exaggerated candor, consider that the presence of representatives of the Cuban government – not “of Cuba” — in the HRC could be positive as leverage over the government, since the authorities would be subject to greater scrutiny from the organization, and to fulfill the obligations characteristic of democratic systems, which would lead to an eventual easing or transformation of the human rights situation in Cuba. 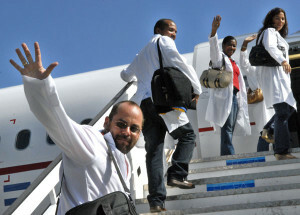 Pragmatists, however, are of the opinion that, up to now, belonging to international organizations and commissions that, at least de jure, and with varying degrees of success in advocating the defense of economic, political and social progress for Humanity, has not been an important or sufficient element to promote democratic change in Cuba. In fact, as the official press release boasts, “Cuba was a founding member of the Council, where it remained until 2012, (…), so we are returning to the forum after a year as a State observer” (Granma, November 13th, 2013, p. 5) without an incidence of any sensible improvement on human rights in Cuba. Additionally, the Cuban government has received recognition in such sensitive areas as health, education and nutrition on more than one occasion, despite the deterioration suffered by the first two items and the chronic failure of the third. Many Cubans interpret so much recognition as a mockery of the plight in which they live and as an affront to decades of resistance, sacrifices and efforts by the essentially peaceful internal dissent. Of course, the official press is ecstatic. A Granma editorial (Wednesday November 13th, 2013, front page) proclaims Cuba’s election to the HRC as an “earned right” and “a resounding recognition of the work undertaken by our country in this matter”. And, so there be no doubt that the government will persist in applying human rights their own way, using the same excuses as always, that edition’s page 5 editorial reprinted a statement by Anayansi Rodriguez, the regime’s ambassador to the Geneva-based international organizations. 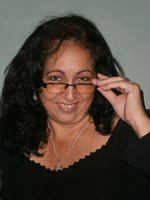 She said that this “is a victory of the Cuban peoples that have learned how to withstand more than five decades the U.S. embargo”, and later warned that “there are no unique democratic systems. Each nation has the right to determine, in a sovereign way, what is the most convenient system for its full realization of human rights”, an ambiguous phrase that Cubans know how to clearly interpret as “the Castrocracy will continue using access to international agencies as another resource to legitimize the oldest dictatorship that the civilized world knows and adulates”. This is nothing new under the sun, which sometimes seems to show more spots than light, as demonstrated by other obscure members also elected to the HRC on this occasion: Russia, China, Vietnam, Saudi Arabia, Algeria, Morocco, South Africa, Namibia and Mexico, countries in which, independent of nuances and gradations, violation of human rights is part of everyday reality. Obviously, for the United Nations and its various forums, the precarious global balance requires certain concessions, even those that hurt democratic values. Thus, for better or for worse, the Cuban dictatorship will have another three years grace to try to destroy this international organization. It is known that, beyond Cuba’s negligible human or financial support to the UN, the primary mission of Castro diplomacy is to jeopardize the functioning of all the forums created for the promotion of democracy, to thin out discussions, to distort agendas, to create antagonism, to polarize the minds and to make use of the venues as platforms to attack the governments of free nations, particularly the US, though that country – of its own choosing — does not belong to the HRC. The democracy dreams of Cubans, orphans of rights, will gain little or nothing with this pat on the backs of the Castros. The consolation prize (for chumps) is that they will not win over the HRC or democratic countries with such dubious membership either. To some extent, except for the gaps, we will both suffer punishment and penance. A friend of mine, whom I will refer to as “Greta”, is a doctor and holds a responsible position at a clinic in an “upscale” neighborhood in Havana. Although not well versed in political issues and ideologies in general, or in Marxism in particular, for many years she accepted membership in the PCC [Cuban Communist Party] because being a member facilitated access to certain benefits, such as getting her daughter into a child care facility quicker, a semi-boarding school for her older child, and a little faster advancement in her career, beyond what would be expected of her average talents. Greta is not, therefore, a communist revolutionary or even a system sympathizer, nor is she of the opposition, but an opportunist, sheltered into the regular rhythm of a system that does not bother you much as long as you pretend obedience and follow the guidelines. Greta dropped her nail file (she uses the nucleus meetings to update her manicure or to check her cell phone). She could not believe her ears. Now, in addition to her daily walks visiting patients, their families and doctors’ offices, responsibilities of her job, which she carries out well, she would have the additional duties of visiting the “deserters” homes because the political authorities generously “pardoned” them. She, who had managed to not participate in repudiation rallies or in sanctioning meetings, would have to “get at the conscience” of the relatives of the doctors and technicians who have left so they would, in turn, convince them of the possibilities of “returning to the motherland”. Barely a week before, Greta had made her regular visit to the parents of a good friend, a doctor like her, one of those “deserters” who resides in the US as of a year ago and works as an ambulance paramedic. She picked up a few pictures that he had sent and had some delicious coffee sent by the ex-traitor to his parents. Her friend, or anyone who she knows of, would never dream of coming back to reclaim rights in Cuba… not even those who stopped practicing their profession and now work in other jobs in the health care field. The militants looked at each other, perplexed. Just a few months ago, the clinic’s management had called a morning meeting to condemn the betrayal of a new defector (another one) who had betrayed his people and the revolution and didn’t even deserve a drink of water… What was this crusade now, pardoning those who had never asked to be pardoned and who, it is clear, would never make use of it? It was the height of absurdity. And that’s the point where Greta’s tolerance collapsed. She rose from her chair and snapped at the “cadre of leaders” that that was their job to do, and not that of the doctors at the clinic. That’s why they had been assigned a salary, an air-conditioned office and a car with a tank full of gas, while she and the rest of the staff of doctors had to wear out their shoes walking the streets in the heat of the sun to accomplish their jobs. That said, Greta picked up her purse from her seat and left the meeting, leaving behind a stunned silence, followed by a murmur of approval, and barely five minutes after that, the meeting came to an end. Going forward, Greta will have to be careful. This type of desertion of a doctor towards the private sector inside Cuba will certainly not be granted the authorities’ pardon.